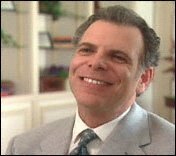 Guys, today I had my FUE procedure with Dr. Paul Shapiro. It is 2AM here in Minneapolis. Just woke from heavy dose of Valium and Vicodin. Tom said - One of easiest cases he has worked on (coarse thick straight hair). He extracted approx. 1200 grafts within a very short period using SAFE. Dr. Paul said - One of the difficult cases as I would just not go numb. He was extremely patient and kind. Matt - Great guy, his confidence in SMG gave me confidence. Jenna - Very particular about details and a sweet personality to deal with. SMG staff was very kind and helpful. It seemed to me Vicodin made very nauseous, threw up 4 times after the procedure. Hope the grafts did not get dislodged/fall out. Tomorrow I will be going for the hair wash at SMG and after I am back I will update the thread with more details. Many thanks to this forum and members of this forum for helping me all the way. Like I said I will add more details tomorrow. Why don't you try coloring your hair so that the donor has a uniform color. The fact that you have grey patches throughout your donor may be making the donor area appear as if it has thinning patches in the photos. You could also try taking a few videos of your donor zone in an area with natural lighting, and send them in to the clinics you are considering, instead of photos. There are different sites that will allow you to upload content and share it via a link. Finally, you have some of the very best Doctors in the world in the US who produce incredibly natural results. Dr. Gabel, Drs. Ron and Paul Shapiro, Dr. Konior to name a few. Why not consider one of them for your surgery? 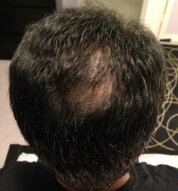 Can I Possibly be Candidate for Hair Transplant Surgery? Hi rjw, It is difficult to get a good idea of your donor region by looking at these photos alone. First, the camera faced a bright light when the photos were taken, so the image quality is poor. Also, you hair is very short, so it is difficult to evaluate the donor region accurately from just looking at the photos. Do you have better photos with your hair grown out a bit? Dr. Konior in Illinois and Dr. Ron and Paul Shapiro are quite close to you and both are recommended by this forum. I recommend an in-person consult with a leading surgeon to get a crystal clear idea of what your options are. Male, 30 years old, had hair transplant procedure with Dr. Paul Shapiro on 12/19/13. Its been seven months and I am not seeing any hair growth. 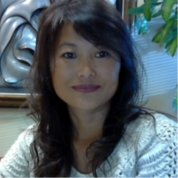 As the pictures posted on my profile illustrate, the hair growth has been patchy, and less than 33% of the hair transplanted has started growing. Needless to say, when I called the Shapiro clinic yesterday for my post op appointment, I was frustrated with the progress so far. Instead of listening to my concerns, their representative Matt Zupan does the following: 1. Matt starts off the call by telling me how fantastic my hair growth has been so far. It is obvious he hasn't seen my pictures, since most people can look at my pictures and conclude that the growth is far from "fantastic" 2. Then, once I ask if I should use Minoxidil (Rogaine) to stimulate hair growth, he starts blaming me for not using Minoxidil from right after the surgery, and Matt mentions that the handout/videos state that using Minoxidil is mandatory. 3. He then proceeds to create a theory that the transplanted hair is growing well, and the reason I still look bald is that my native hair is falling. I then have to remind Matt to look at my file, since I clearly mentioned before my surgery that I have been on Avodart (Dutasteride - 0.5mg) since 2010. 4. At this stage, I am incredibly frustrated, since Matt has not looked at my medical records, or looked closely at my pictures, and he is trying to pin the lack of hair growth on me. Before the call ends, Matt again asks me to email him the medications I am on, something I already told the Shapiro group the day of my surgery. I am ok with spending $10000, and living my life with a big scar on my scalp. What I am not ok with, is the utter lack of professionalism displayed by Matt Zupan. At this stage, I have no other option but to pray and hope for hair growth, or be back under the knife. How to straighten and soften transplanted hair? P.S. Dr. Paul Shapiro is an excellent surgeon and I’m sure that he will help you if there is a problem. Hello everyone, Thanks for visiting my post. I will be sharing my journey of hair loss and hair gain (hopefully). My forum name is Blaze99 - you can call me blaze. I am in early my 30s, suffering from hair loss. My mom told me my hair was so thick, she couldn't see my scalp when I was a kid (She was probably overstating, but you get the picture). In my early 20s, I had a real thick set of hair. I used to gel up - even when I had short hair. I used Paul Mitchel tee tree gel and head & shoulder shampoo. When I was tight on money during my teenage years, I used cheap gel from dollar store too. I used to back brush hair like russian mafia. During my mid 20s, I started losing hair. My hair was so heavy and thick, I just thought this was natural. 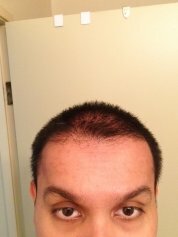 During late 20s, I started noticing bald area on my crown. I started freaking out. Started using gnc keratin. Alas.. hair continued to fall. I added fish oil supplement... still no luck. Worst yet, I started noticing hair thinning up front too. After a couple of years, I stopped using gnc keratin and started using rogaine. Although I saw some initial results, hair loss is continued. Maybe not as bad as late 20s and 30... but still losing hair. Very recently, I also started using nizoral shampoo. Before that, for the last year and half, I used baby shampoo to avoid all the chemicals. At this point, I am considering a hair transplant. I am doing research... reached out to a Dr. in Istanbul and his assistant recommended FUE. Before someone asks, I dont want to use Finasteride because of the side effects. This is my story... I hope this can help someone who is losing hair. Perhaps help not make some of the mistakes I made. I will continue to share my experience as I go through the hair transplant procedure. I am not sure which doctor I will go to - but I will go to Europe most likely because of the cost factor. Thank you all for reading my story. All your expert (or non-expert) input are welcome. Feel free to share your story too. Talk soon. Mods: please feel free to remove the brand names if not allowed (or ask me to reword). I just shared cause I dont want others to make the same mistake as me.